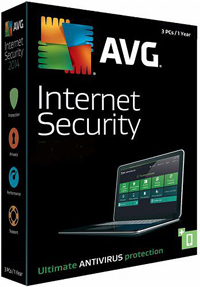 Additionally, AVG Internet Security pulls together elements of AVG’s firewall, identity protection, and anti-virus signature detection capabilities to deliver the most accurate detection of new and unknown threats. This enhanced protection level makes use of cutting-edge technologies like application white-listing and “in-the-cloud” automated testing for tell-tale signs that indicate the presence of a new threat. When you install AVG Internet Security , every one of these features is fully-functional – there’s no need to do a thing. AVG Do Not Track. Lets you identify which websites are collecting data on your online activities and gives you the choice whether to allow it. This is available if you take AVG Security Toolbar as part of your installation or as a separate plugin. Supports Internet Explorer, Mozilla Firefox and Google Chrome.